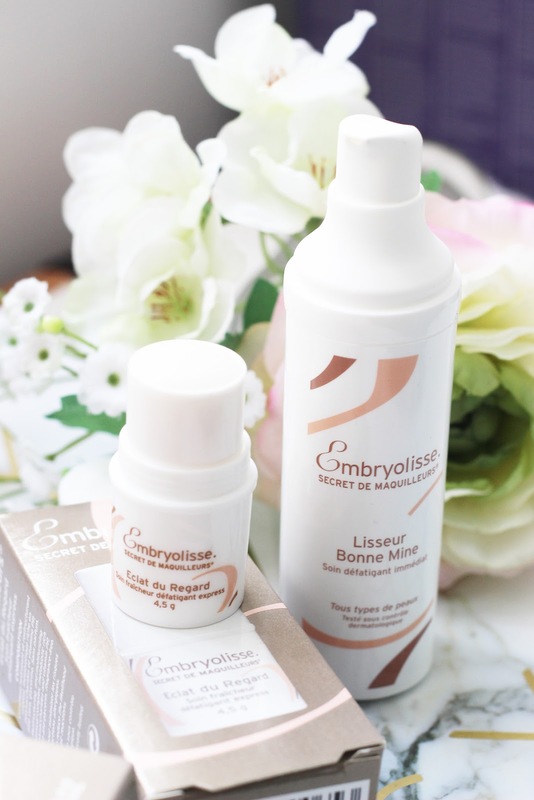 I have never tried anything from Embryolisse, so I was very excited to see what the fuss was about. I didn't expect much to be honest but I have been completely wowed by these two products from the Artist Secret range and I cannot stress enough how impressed I am. Let's start with my favourite out of the two- the Embryolisse Radiant Eye*(£20.50). I am actually addicted to it! It's an express cooling and refreshing eye cream in a stick format and you simply sweep it under your eyes and on the lids and you're done. But it's not just any eye cream. It gives the most incredible cooling sensation I have ever experienced and provides instant hydration. It's kind of magical and I absolutely adore it! It's suitable for all skin types and it's incredible for tired and sensitive eyes. I can't imagine not having it in my life now. It works even better, if you keep it in the fridge. 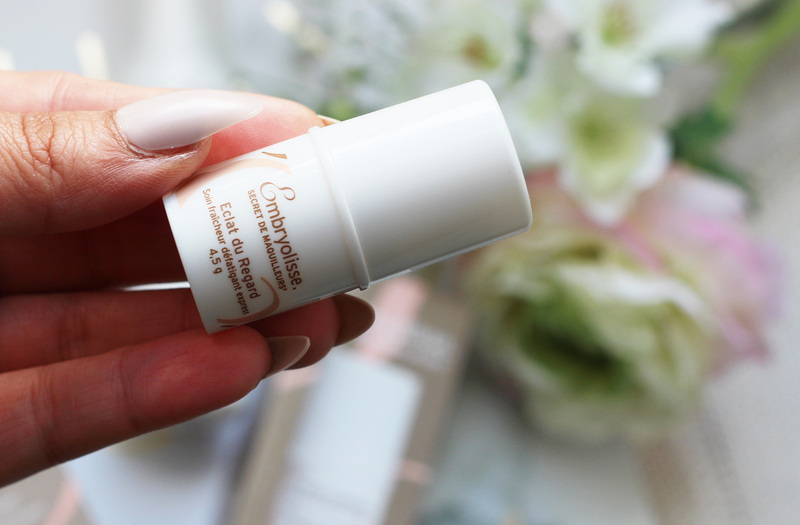 This little eye cream stick will help to reduce signs of fatigue, get rid of puffiness, moisturise, smooth and improve micro-circulation. It adds radiance and brightens the eye area. I use it morning and night, but also mid-day when my eyes feel a bit tired. I even use it on top of makeup. It is by far the best eye cream I have ever tried. Next, we have the Embryolisse Smooth Radiant Complexion*(£24.99), which has a very light, almost gel-like consistency. It can be used as a serum or a makeup primer and just like the eye cream, it provides instant hydration and leaves an invisible lifting film over the skin. It saturates the skin with water, thanks to hyaluronic acid and leaves it feeling smooth and plump. It also adds a beautiful radiant glow with the mother-of-pearl pigments. I am so impressed with it. It helps me create the perfect base for my makeup and gives my skin a real boost of moisture. 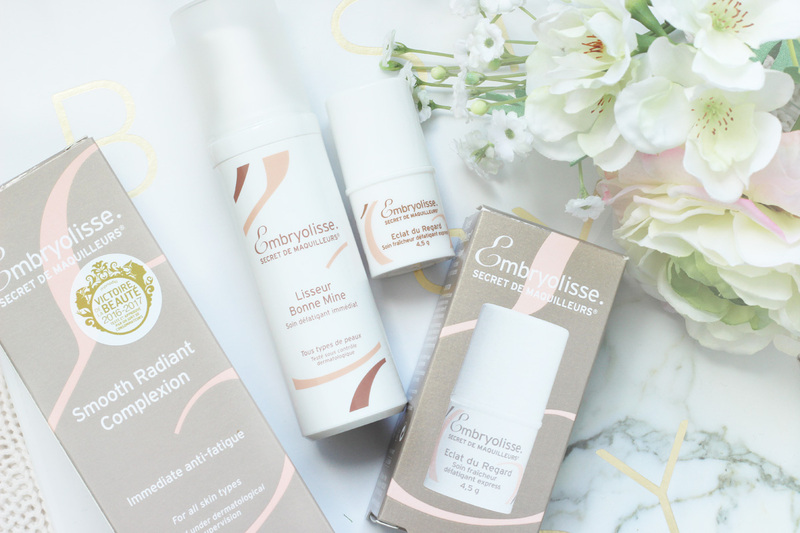 Both of these Embryolisse products have been an absolute godsend during the hot weather and I am seriously impressed with the formula of both the Embryolisse Smooth Radiant Complexion & the Radiant Eye. I would recommend these to everyone, but especially those who suffer from dry skin and dehydration and need instant results. I would go as far as saying that I found my two new Holy Grail products. Yep... I said it. HG status! I am in love! 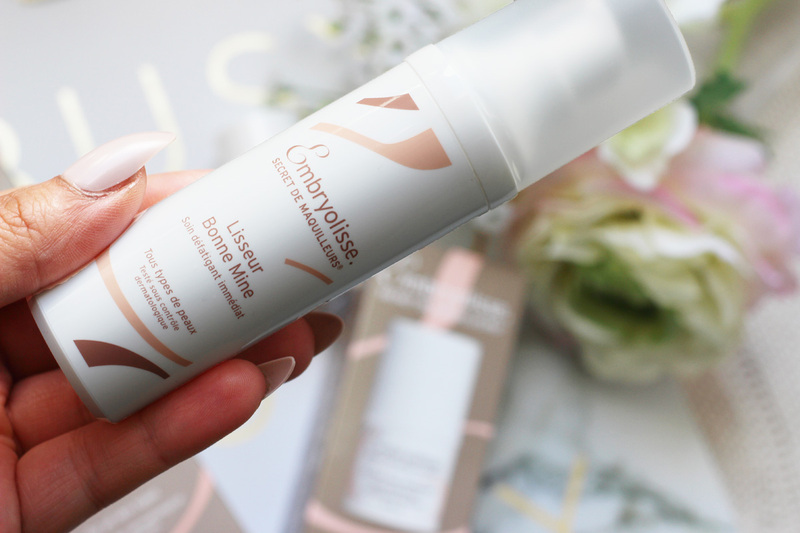 I must admit, I am now desperate to try more from Embryolisse. Available from Boots, Feelunique and other stockists.